Get the poster about the Smart Sea Port testbed here. 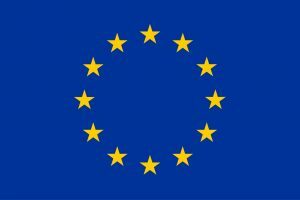 Check for the dissemination event in Hamburg on June 5th, 2019 here. Around 9,000 ship calls per year, almost 300 berths and a total of 43 kilometres of quay for seagoing vessels, more than 2,300 freight trains per week, four state-of-the-art container terminals, three cruise terminals and around 50 facilities specialised in handling roll-on-roll-off (roro) and breakbulk and all kinds of bulk cargoes, along with about 7,300 logistics companies within the city limits – these are just a few of the factors making the Port of Hamburg (see map below) to one of the world’s most flexible, high-performance universal ports. 138.2 million tons of cargo crossed the quay walls of Germany’s largest sea port in 2016. That included around 8.9 million standard containers (TEU). Hamburg is accordingly the third largest container port in Europe and in the 17th place on the list of the world’s largest container ports. The port and the city of Hamburg are closely intertwined – and not just physically. The healthy development of the port ensures the growth and prosperity of the city and the entire metropolitan region. 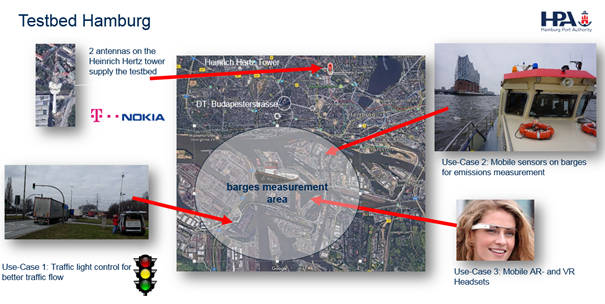 Port management and port development of Port of Hamburg is Hamburg Port Authority’s (HPA) responsibility. HPA realised early on that the future of the port is tied to spatial development, but also to new, smarter approaches. It seemed clear that the various traffic and information flows must be merged to ensure efficient port operations. Efficiency may well be the most important differentiator for the Port of Hamburg when it comes to energy resources and environmental impact, infrastructure facilities, traffic control, and property management. The HPA’s smartPORT philosophy combines modern IT-supported transport and communications systems which help to accelerate traffic and trade flows in the port and coordinate them more efficiently. 5G-technology will further fuel this vision. A sea port is responsible for the efficient traffic and trade management to maximise the throughput of goods. This is of particular relevance for domestic inner-city sea ports like Hamburg, where no possibilities for significant spatial extensions are available. Hence, the logistics within the sea port as well as with all connected infrastructure is of high importance and requires a well-designed information and communication technology (ICT) infrastructure to pave the way for intelligent transport systems (ITS). Such design particularly needs to consider the potentially international impact of failures in the ICT infrastructure, e.g., a stoppage at a central hub such as Hamburg may have an impact on goods transport in all central Europe. The control systems used by the HPA up to date are already the most progressive in the world and the interplay between their sensor technology, analysis, forecasting and information systems delivers significant efficiency improvements. The Smart Sea Port testbed represents the next step in creating a digital port – and in shaping Hamburg’s future. The overall goal of the testbed is to provide a wireless infrastructure that can handle a large number of the use cases of the port’s day-to-day work. As all these use cases have rather different requirements in terms of the reliability (guaranteed network connection), resilience (guaranteed availability, even in the case of failures), and the support for service diversity, but a dedicated communication infrastructure for each of them would be rather inefficient, a 5G mobile network that supports network slicing is the appropriate solution. 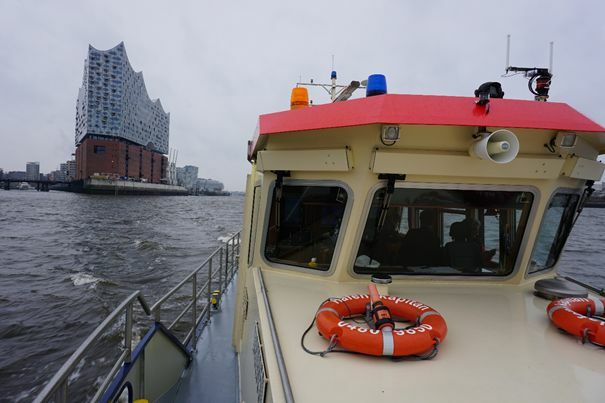 Within the scope of 5G-MoNArch, the Hamburg Smart Sea Port testbed focuses on three selected use cases that share a common mobile network infrastructure. The 5G radio base station is installed on the television tower close to the Hamburg trade fair and congress centre (extensive coverage). Better traffic flow: Intelligent Transport System (ITS) – Traffic light control: traffic lights are connected to the port’s central road traffic control management through the 5G mobile network with a dedicated network slice. For the testbed, an existing traffic light control unit is equipped with the necessary 5G modem which supports network slicing. Technical Innovation: the 5G slice for the control unit needs to have a very high reliability as a failing connection to the central road traffic control management would stop the proper operation of the traffic light. To ensure this reliability the multi-connectivity feature developed as part of work package 3 will be implemented. 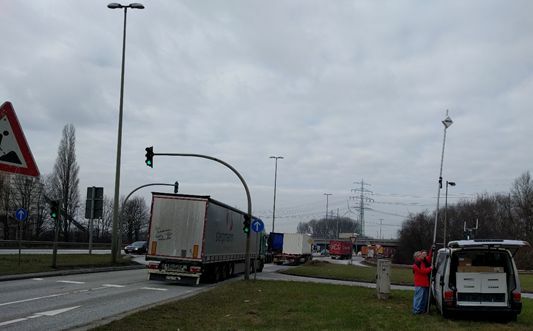 Goals: today, every new traffic light in the port area is connected via fibre, and every modification requires considerable efforts to update or replace the corresponding underground cables. This also applies to the installation of new traffic control units (traffic lights, measurement equipment etc.). If the testbed shows that a safe and reliable connection via 5G is possible, the modification of existing, or the installation of new or temporary traffic lights would become much easier, faster and economically efficient. Enhanced maintenance experience: Augmented and virtual reality (AR/VR) applications for the port’s engineering team, connected via mobile broadband. The engineers are supported in their day-to-day work with an easy mobile access to construction plans and information on buildings and other technical installations within the port area, by on-demand provisioning of the available data and documentation through AR/VR applications on tablets or goggles on site. This AR/VR equipment is connected to a central application server through the 5G mobile network, using a dedicated network slice. For the testbed, a 5G smartphone prototype will enable the connectivity via WLAN-tethering to the goggles or tablets. Technical Innovation: the 5G-Slice for the AR/VR-device should provide a high data throughput to enable a fast delivery of documentation and pictures or video material. A life-streaming of CAD and simulation data shall be enabled. Goals: So far, VR and AR technologies are only used indoors at HPA. But the maintenance of buildings and technical installations as well as the planning of new infrastructure within the port area can be performed much more efficiently and less error-prone if the required information is ubiquitously available. If the testbed shows that the corresponding AR/VR applications can also be used outdoors with the necessary quality, the future work of the port’s engineering teams can be clearly improved. Improved pollution control: Mobile sensors on barges for emissions measurements. Environmental measurement sensors installed on three HPA ships of the Flotte Hamburg provide real-time data on the current air quality in the port area. The used prototype environmental sensor and control units, which generate a data stream of raw measurement data, are connected to the HPA data centrethrough the 5G mobile network with a dedicated network slice. The processing of the raw measurement data takes place within the data centre. Goals: Today, some HPA ships are connected via an LTE link and secured VPN tunnels – hoewever, the configuration and maintenance of these connections, and the setup of connections for new sensors requires some effort and lacks flexibility, and these connections are not always sufficiently reliable. If the testbed shows that a corresponding network slice can provide the connectivity everywhere, reliably, and efficiently, and that it complies with service level agreements for raw data transmission, the installation of sensors for environmental measurements, but also for other purposes, can be clearly facilitated for HPA in the future.